Sky has announced a new service for their Now TV online TV streaming service designed for children called Kids Pass. 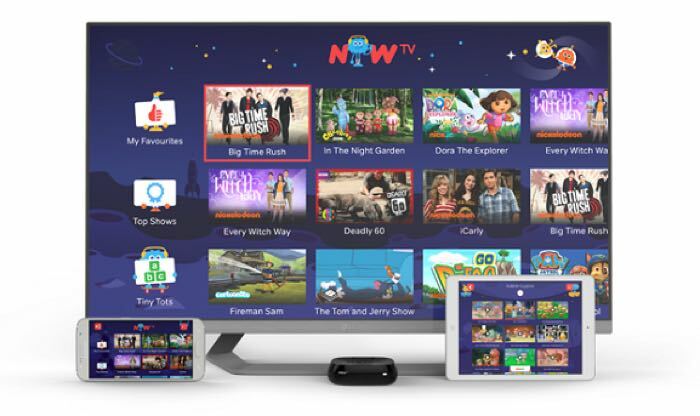 The new Kids Pass for Now TV will give you access to six live TV channels for Kids TV and also episodes and box sets on demand, this will include content from Nickelodeon, Nick Jr, NickToons, Cartoon Network, Boomerang, Cartoonito, CBeebies, CBBC, and Milkshake. Whenever they want, kids can enjoy the likes of SpongeBob SquarePants, Paw Patrol and The Powerpuff Girls, Adventure Time and The Amazing World of Gumball which are only available on demand to Sky and NOW TV customers. Later this year, they can watch Morph, following the recent news that Sky is commissioning brand new episodes of the much loved character from Oscar-winning studio, Aardman Animations. All this will be available to watch via a special immersive user interface (UI) which was designed with both parents and children. It means the UI is not just fun to use, but adds safety controls for parents’ peace of mind. The Now TV Kids Pass will be available from the 21st of June and it will cost £2.99 a month, you can find out more details over at Sky at the link below.